We are a Christian School. Above all, this is the most important reason why we exist. Our teaching is not based on the world’s constantly shifting standards. Here at Trinity, all subjects are taught in the light of God’s unchanging Word, from a Christian viewpoint. Students grow in their faith and relationship with our only Savior – Jesus Christ – as they study God’s Word and His world. We are a Lutheran School. Our church and school hold to the Bible as the inspired, inerrant Word of God. We believe and teach that we are justified before God, saved by grace alone entirely due to the work of Jesus Christ on our behalf – not on our own works. Through faith in Jesus, His love now motivates us to live, to learn, to grow in our faith, to go and share His love with others. We are a Safe and Loving School. Even the best educational program needs to be in a greater supporting context. The love of Christ is best expressed in the context of a school’s loving, caring, and professional teachers. Our supportive Christian homes and families assist us in modeling the love of Jesus at home. We are thankful; these factors combine to produce an atmosphere of love and acceptance that is rare in today’s world. Trinity seeks to excel at this. We are a Quality School. Since 1856, Trinity Lutheran School has been helping children attain a high level of academic excellence. All our teachers use their varied gifts and experience (currently our staff consists of 6 teachers with over 140 years of combined experience). Our students consistently score well in annual standardized tests. Alumni report they were exceptionally well-prepared for high school, college, and life after school. We are a Well-Rounded School. Trinity’s curriculum materials model an education that is more classical than progressive. We focus on rich content that has abiding truth and value. Our curriculum is enriched by computer stations and iPads in each classroom, choir, music lessons, drama, and team sports including volleyball, soccer, cross country, basketball, softball, track and field, and cheerleading. We are an Affordable School. 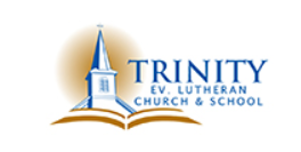 Our school is subsidized by Trinity’s congregation, thereby allowing tuition to be held very low and affordable. Trinity’s own members and members of other Lutheran churches in our fellowship pay even lower school fees. We are a Centrally-Located School. Trinity Lutheran School is in a beautiful country setting, yet is centrally located. This allows us to serve families from Cedarburg, Jackson, West Bend, and other surrounding communities.